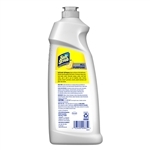 Dial Soft Scrub Lemon Disinfectant Cleaner - 26 Oz. Dial Soft Scrub With Bleach Claaner - 24 Oz. Dial Soft Scrub With Bleach Commercial Claaner - 36 Oz. Dial Instant Hand With Moisturizers Sanitizer - 7.5 Oz. Dial Body and Hair With Pump Shampoo - 1 Gal. Right Guard Sport Aero Fresh - 8.5 Oz. Dial Complete Pear Foaming Soap - 7.5 Oz. Dial Complete Antibacterial Foaming Hand Wash Pump - 7.5 Oz. Soft Scrub Commercial Cleanser with Bleach - 36 Oz. Renuzit After the Rain Air Freshener Nascar - 7.5 Oz. Original Dial Foaming Hand Soap - 42.3 fl. Oz. Dial Basics Hypoallergenic Liquid Soap - 16 Oz. Dial Complete Antibacterial Foam Lotion Soap Spring Water - 7.5 Oz. Dial Instant Hand Sanitizer with Moisturizers - 7.5 Oz. Soft Scrub Commercial Cleanser Lemon - 38 Oz. Dial Basics Hypoallergenic Soap Liquid - 1 Gal. Dial Basics Hypoallergenic Foaming Lotion Soap Professional Size - 15.2 Oz. Antiperspirant Fresh Deodorant Gel - 3 oz. Sta Flo Liquid Starch - 64 Fl. Oz. Right Guard Sport Anti-Perspirant Deodorant Invisible Solid Fresh - 2.6 Oz. Purex Dry Bleach Alternative Fresh Mountain Breeze - 22 Oz. Spring Water Foam Soap Refill - 42.3 Fl. Oz. Dial Power Berries Foaming Hand Wash - 7.5 Fl. Oz. Twenty Mule Team Borax - 76 Oz. Antimicrobial Gold Hand Soap Liquid - 8.5 Oz. Renuzit Adjustables Super Odor Killer - 7Oz. Purex Mountain Breeze Liquid - 50 Oz. Dial Bodywash Spring Water - 11.75 Oz. Ranch Dressing Pouch Liquid Portion - 9 g.
Boraxo Powder Hand Soap - 5 Lb. Purex Fels Naptha Bar - 5 Oz. Dial Eco-Smart Direct Connect Dispenser Black - 15 Oz. Dial Gel Hand Sanitizer Refill - 15 Fl. Oz. Dial Liquid Hand Soap with Moisturizers - 7.5 oz. Dial Complete Foaming Fresh Pear Hand Wash - 7.5 oz. Right Guard Sport Gel Active - 3 oz. Dial Basics Liquid Hand Soap - 7.5 Fl. Oz. Borax Powdered Hand Soap - 12 Oz. Right Guard Xtreme Defense 5 Invis Solid Arctic Refresh Bonus - 2.6 Oz. Dial Bar Spring Water Soap - 4 Oz. Unscented Dry Idea Clear Gel - 3 Oz. Dial Basics Foam Soap - 128 fl. Oz. Dial Original Foaming Hand Wash - 1 Gal. Right Guard Sport Original Aerosol Deodorant - 8.5 Oz. Dial Complete Antimicrobial Foaming Hand Wash Dispenser - 1 Ltr. Dial Antimicrobial Liquid Hand Soap Gold - 16 Oz. Soft Scrub Cleanser Liquid Lemon - 26 Oz. Dial Complete Antimicrobial Foaming Hand Wash Cool Plum - 1 Ltr. Dial Antimicrobial Liquid Hand Soap Refill Sensitive Skin - 1 Gal. Total Body Shampoo - 1 Gal. Combat Source Kill Max Roach Killing Gel - 60 g.
TMT Powdered Hand Soap - 5 Lb. Purex Powder Detergent Vend Pack - 1.4 Oz. Dial Professional Flex Liquid Soap Dispenser Manual Black - 800 Ml. Dial is the leader brand in the health industry, bringing you great products to keep your home or restaurant cleaner than ever. Killing 99.9% of bacteria, Dial's products are great at a great price.